I prepared presentations, facilitated workshops, focus group discussions, and conducted individual interviews with stakeholders. I supported project staff to explain the purpose of the U-Report, mechanics of its operation, solicited recommendations for improvement and set timelines to provide feedback to the users. Youth and youth networks had the opportunity to understand the U-Report’s main features and provide useful feedback on the testing of each component of the new technology. I maintained a record of daily CO updates, tasks completed, the status of action plans, and upcoming events on worksheets, which I shared with my manager at Verynice NY. I updated my team in NY on the status of the project and shared the outcome with the Unicef Innovation Lab team and my manager at Verynice in NY. Below is a overview mapping out what works within the current system and highlighting areas that could be improved by UNICEF staff member Bayo. Below is a Goal and Key activities worksheet, highlighting the way UNICEF staff member Abraham currently interacts with the U–Report system. An award winning social messaging tool used by young people to voice their opinions on challenges in their community and to encourage citizen–led development. 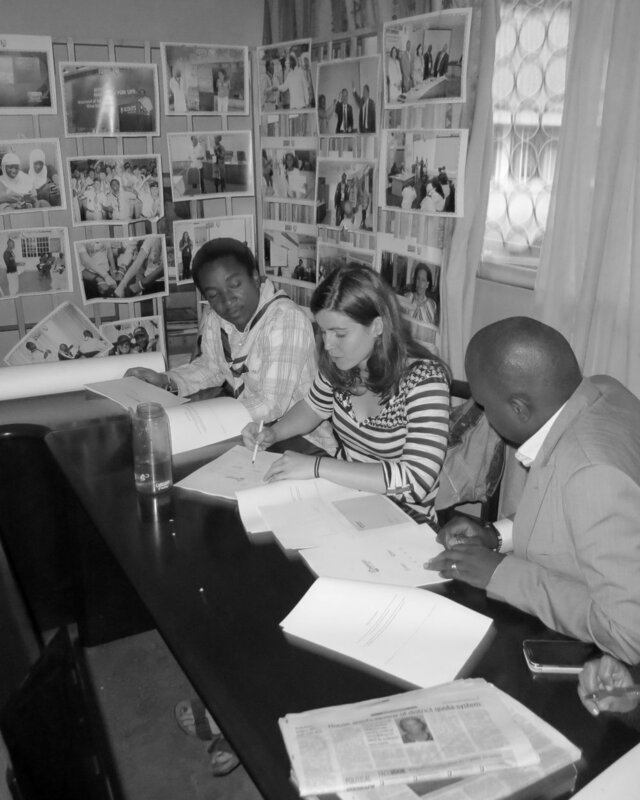 Verynice Studios, UNICEF Innovation Lab, and UNICEF Country Offices in New York and Uganda. U-report includes an innovative free SMS system that allows young people to voice their opinions on development issues that affect them at parish, district and national levels. The U-Report pilot encourages youth and youth organizations to work with other community leaders to bring about positive social and economic change. This new initiative was designed to improve service delivery through social monitoring and introduce new standards of transparency and accountability. The design challenge was to develop a scalable user-centered visual system for Unicef Country Offices implementing U-Report. The new communication system needed to provoke interest among youth and better engage U-reporters. My role in Uganda was to research, prototype, and communicate with UNCEIF and Verynice staff in New York. I led one-on-one interviews, focus group discussions and workshops to collect data and information. While collecting data, I put users at the center of my research, highlighting their struggles, key activities, what functioned/didn't, and what could be improved. I mapped out the technical and design system being used and shared various needs and insights of local community members, influencers, government officials, technical people, and aid workers. I documented and communicated what was collected on-site and reported the results to the project manager. Together with the team in New York, we prototyped and pretested the design in various countries around the world. U–Report has over 1.8 million reporters and is being used by governments in 18 countries, such as Nigeria, Zambia, Burundi, Indonesia etc.